Everton have reportedly expressed an interest in making £40m move for Chelsea outcast Michy Batshuayi this week. The 25-year-old spent the first half of the 2018-19 campaign on loan at Valencia, but managed to score just one goal for the Spanish outfit and has been sent back to Stamford Bridge. The Belgium international is seemingly not in plans of the Blues’ boss Maurizio Sarri and AS Monaco had been linked with a loan move for the forward. However, it is understood that the west London outfit are keen to sell the Belgian on a permanent deal before the January transfer window shuts down. 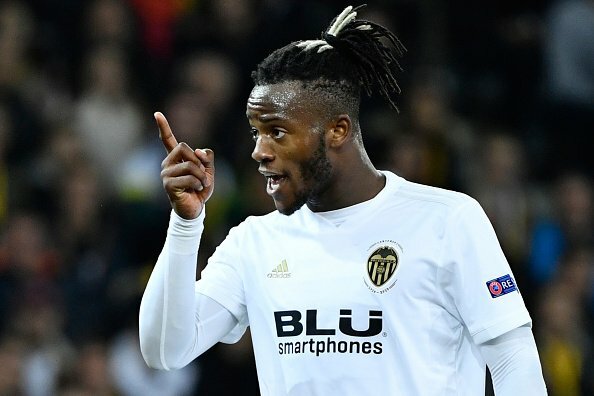 According to The Sun, the Toffees are desperate to secure Batshuayi’s signature due to their troubles in the final third of the field, which will lead to a £40million bid being made this week. Batshuayi has scored 19 goals in 53 appearances for Chelsea across all competitions.